Lentehop is an American style IPA, from a Dutch brouwerij (brewery) called De Molen. Like many great beers from that part of the world, it’s brewed in an old mill a mere 171 years older than Canada. Unlike many of those beers, it’s own history spans a little over a single decade. While it’s housings might give it instant credibility I’m inclined to criticize, brewers here in Canada should take note. Specifically Molson, who sold Molson House, a 50 year old fort near my house in Edmonton rather than making use of it in what would have easily been the most interesting place to drink in Alberta. But I digress. Lentehop. It pours cloudy and golden, with a fairly substantial head. There is very little nose, just a hint of hops. I taste hops, certainly, but also some light citrus and pine. This IPA is surprisingly refreshing and fairly crisp. 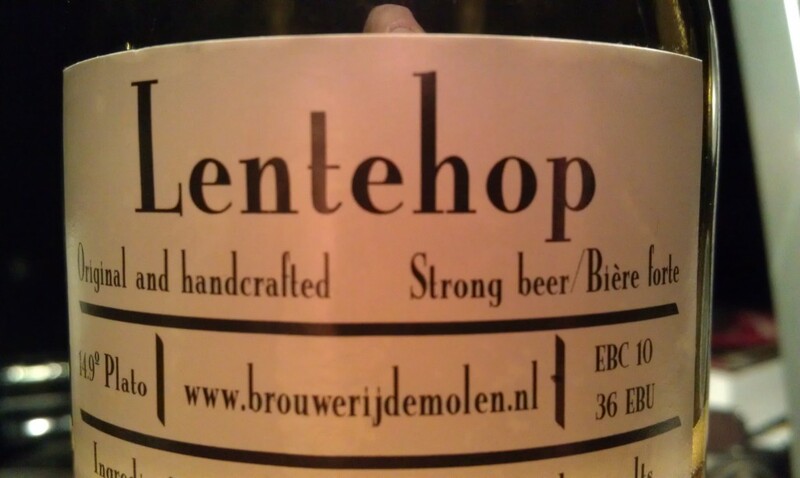 I probably won’t go hunting specifically for it, but I would drink Lentehop from De Molen again.